You might know these comfy quilts as either Biscuit quilts or Puff quilts. Mary Jane Cardwell wrote a biscuit quilt pattern for us, using a method that will help you put your projects together more quickly than is possible with the traditional technique. 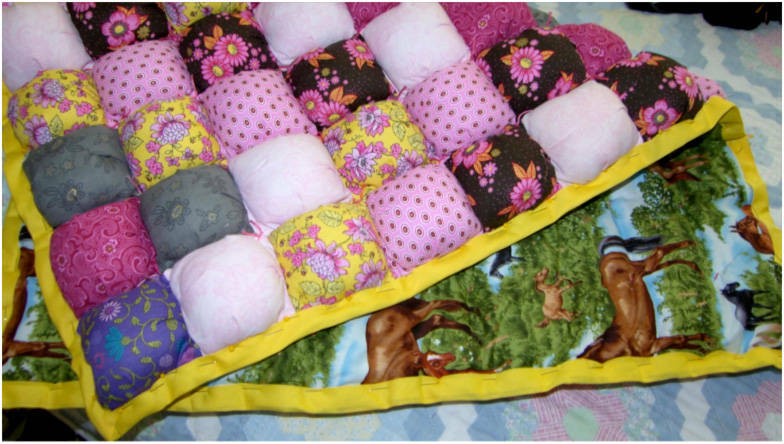 Puff quilts, often referred to as biscuit quilts, are lush comforters that are assembled by sewing squares of fabric together to form 'pockets,' and then stuffing the pockets with fiberfill. 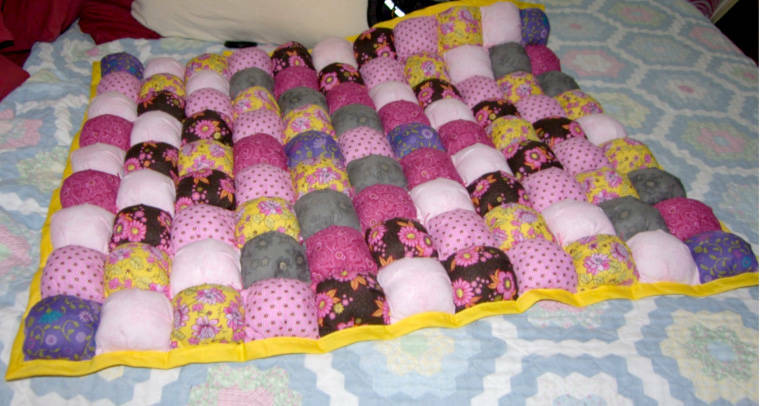 Unless you're planning on a totally random layout, it's a good idea to design your puff quilt before you choose fabrics, so that you'll have a better idea how much is required of each. Using graph paper, create a grid that's 9 squares across and 11 squares tall. Fill in the blanks (with colors or with shades-of-gray color values) to decide on a pattern. Finished Size: 32" x 38"